It is said that your 7 chakras are the energy eco-system of your body. A chakra test can tell you which of these energy centers may have become blocked and the corresponding issues you may be experiencing in your life because of these energy blockages. With each of the 7 chakra energy centers linked to a different area of your life such as health, wealth, love and creativity, finding out which of your chakras and strong and which may need a little work can give you an amazing insight into your life and manifestational game. Below is a pretty cool video that will let you test yourself while also clearing your chakras. List out 1 to 7, and with each number Leslie holds up, try to tune in and see which chakra she is working on. You may receive the name, feel it in your body, receive a color, receive a number, receive the vibration, an image, the possibilities are endless. The chakras can hold repressed emotion and contribute to illness, ageing, etc. If you have any blockages in a chakra, you may notice issues with these particular things mentioned above and know the associated chakra you need to be cleared. Improving your health and the general state of both your body and mind by focusing on your chakras has been a well-known technique for some time now. Still, that doesn’t mean that many people are familiar with the benefits of such methods, and many of us are especially sceptical when it comes to alternative medicine. That’s why it is important to talk about the ways in which they can contribute to your happiness on an everyday basis. Becoming aware of the state your chakras are in can be a life-changing event, especially since, once you do the chakra test, healing them will only be a matter of time and just a bit of effort. As soon as the chakra test tells you which of your chakras are blocked, you can start the process of opening it. The human body is not just a sum of its physical parts. Other than organs and bones, a key element of its structure is the energy. Hundreds of points on your body transmit and receive energy, and they are called the energy centres. Some of the centres are more important than others, and so we have seven large ones that are considered to be the key energy points. Since the ancient times, they have been known as the chakras, which in Sanskrit, the language of the ancient Indians, means wheels or vortexes, and the balance and harmony these energy centers directly affects our well being. Chakras are the strong and pulsating energy centres and can be visualized as running through the centre of our bodies in a straight line. The last chakra begins at our tail bone, and the first one is at the top of the head. In that way, they connect us to both the earth below and the skies above. The main function of each chakra is to provide us with all the energy that is necessary to keep our bodies healthy and our mind strong. The state of these centers affects every aspect of our lives: emotional, spiritual and physical. Apart from their general function, each of the seven chakras has a specific one as well. Depending on where it is located, a chakra governs that particular part of our body and some of the emotional and spiritual attributes. Unfortunately, just like an organ or a bone, chakras too can be damaged, or simply not working as well as it could. They can also be blocked, or depleted of energy. Their damaged state will influence the overall health of your organism, as well as your feeling of well-being. The state of damage and balance of a chakra can be resolved with the technique of chakra healing, along with taking a chakra test. The process requires the knowledge of the way the energy system works, as well as persistence and effort. 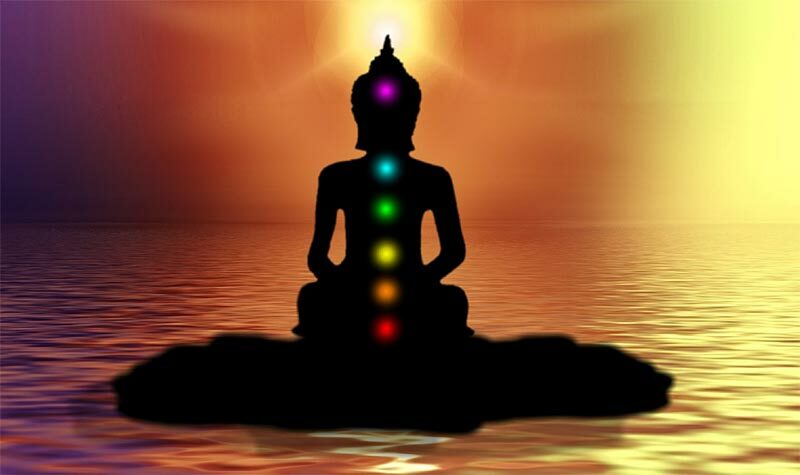 Before committing yourself to the task of healing your own body with the method of chakra meditation, it would be best to find out which of your chakras are blocked or damaged. For people who are not experts in the field of energy healing, it would be difficult to succeed without the chakra test. On the other hand, knowing which energy centre is the cause of your problems will be of significant help, and might just make the difference between success and failure. Each of the seven chakras has a name: the root chakra, the sacral chakra, the solar plexus chakra, the heart chakra, the throat chakra, the third eye chakra and the crown chakra. We will now provide you with the basic information on each one, beginning with the chakra that is placed at the base of our spine in front of the tail bone. The root chakra is the energy centre within your body that is a representation of the energy of the earth. It influences your sense for survival and is associated with the colour red. If you want to balance your root chakra or make it even stronger, try to visualize its colour. In doing that, images of red flowers, fruits and vegetables can be of great help. The sacral chakra is located in front of your lower abdomen, or in the pelvis area. It represents the centre of a person’s energy, creativity, passion and joy. It is associated with orange. If you want to improve your energy and the level of your creativity, try to visualize the colour of the sacral chakra as it is found in nature. The heart chakra is located at the centre of your chest. This chakra is the representation of the unconditional love, tranquillity, peace and balance. It is the only one associated with two colours at the same time, green and pink. Green is for balance and tranquillity, and pink for kindness and love. If you want to improve your emotional state, visualize green or pink while meditating. The throat chakra, as the name suggests, is placed in the throat area. It is closely connected to creativity, truth and the way you express yourself. The associated colour is blue, so try to picture the blue of the sky or a flower while meditating, and you will help the opening of your throat chakra. The third eye chakra, also known as the brow chakra, is placed at the centre of your forehead, or between your eyebrows, only higher. It represents the divine inspiration and the powers of healing. It is associated with the colour indigo, which is hard to find in nature, but you can always try to visualize a certain shade of the night sky when trying to open this chakra. The crown chakra is located at the top of your skull. It is the chakra of cosmic awareness and a connection with the Divine. It is connected with the colour violet or white, so if you wish to open yourself to a much broader, cosmic understanding of life and the world, visualize these colours while meditating.